Firstly, an IDP is also commonly referred as an International Driving License. An IDP is actually derived from your country domestically issued driving license. For Malaysian, it would be the full driving license or the Competent Driving License (CDL) issued by the Jabatan Pengangkutan Jalan (JPJ) or the Malaysian Road Transport Department. Before I proceed, I just want to make it clear for those that are not aware. A Malaysian driving license, either the Probationary Driving License (PDL) or the Competent Driving License (CDL) are perfectly valid to be used to drive a vehicle in other country. In fact, JPJ has published a list of driving licenses from 154 countries which are recognised and valid to be used in Malaysia. Let’s get a bit technical. A driving license issued under the corresponding provisions of any law in force in any State which is a party to a treaty to which Malaysia is also a party and purporting to recognize domestic driving licenses issued by the contracting countries shall, so long as the license remains in force in that State, be deemed to be a driving license granted under this Part. Putting it in a layman’s term, if Malaysia is in a party to a treaty and recognises the domestic driving licenses of other countries, technically, the other countries in the treaty also has to extend the same courtesy by recognising Malaysian driving license to be used in their country. Therefore, when JPJ officially published the list of 154 countries which their domestic driving license is recognised in Malaysia, the same 154 countries would also have to recognise Malaysian driving license to be used in their country. If that is the case, why do we still need an international driving permit? The main reason why you need an IDP is language translation. If were to look closely at your Competent Driving License, the details are printed in both Bahasa Malaysia and English. Having our driving license details translated into English is very useful indeed. As you know, English is an international language. However, what if you are going to a country where the local people or the local authorities are not well versed in English? For example, let say you traveled to Japan and you planned to rent a car for sight seeing. The proprietor of car rental company would want to see some documentation. They would want to see your passport and of course your driving license. The people in charge of processing your car rental application may not be well versed in English. Can you see the impending challenges you will encounter if you translate your driving license details to only the English language? To overcome this problem, that is why you will need to apply for an international driving permit. According to the AAA Foundation for Traffic Safety, the IDP is translated into 11 different languages. Therefore, the IDP will speak the local language of the country you are visiting even through you don’t. As explained in the paragraph above, you can use your Malaysian driving license to drive a vehicle in other county. 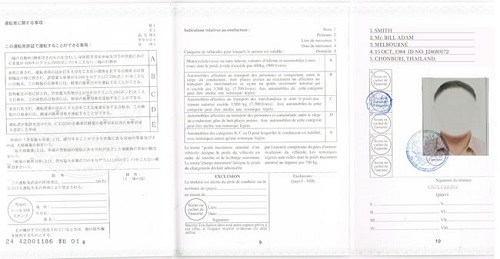 However, just to be sure you won’t face any translation issues, it is recommended for you to get an international driving permit. If you are still holding a Probationary Driving License (PDL), you are not allowed to get an IDP. If your driving license has already expired, it is best to get it renewed before you apply for an IDP. 1) Jabatan Pengangkutan Jalan (JPJ) or Road Transport Department State offices. 2) Automobile Association of Malaysia (AAM) office. The permit application requirements are pretty strait forward. a) Domestic driving license which is still valid for at least a year. The price for the international driving permit is RM150. The driving permit validity is 1 year. When expired, the permit has to be renewed in Malaysia. Can you have 2 driving licenses? To my knowledge, you have to surrender your Domestic Malaysian License in place of your international driving permit as no one is permitted to posses 2 driving licenses in Malaysia. If in the later stages, you no longer require usage of this said license (which is rather costly anyway), you could then surrender it for your Competent Driver’s License (CDL) later. If you are coming to Malaysia for a holiday, you might be thinking, can you use your local driving license to drive in Malaysia? But make sure your license is valid and not expired. You can use the driving license issued by your country to rent a car or a motorcycle. Be sure to observe the traffic rules on the road. Remember, Malaysia follows the British traffic system, meaning all the cars on the road are Right-hand drive and we drive on the left side of the road. I used to have a Malaysian License which was allowed to expire by my relative while I went to live in the UK in the early 70s .Shortly after that I aquired a British License and have held it since 1975. Can I get my Malaysian license back ?I plan to stay longer periods in Malaysia now that I am retired, perhaps up to a period of 6-7 months at a time. 1) Your former Malaysian license is null and void. 2) As you now own a British license, it can be converted into a Malaysian “P” license. a) Get your license certified by the issuing authority. b) Go to bigger J.P.J. office i.e Putrajaya to get the above done. Best of luck! Happy and save driving. Hello Cikgu Yap, I’ve been lived in Netherlands for 4 years (I’ve residence permit) and have M’sian driving licence for 22 years. 2 years ago I’ve make enquiries to the ministry of transport office (same as M’sian JPJ) if Holland if I can convert my Msian driving license to dutch driving license, they said since 6 years ago, it’s not allowed anymore they adviced that i’ve to re do theorie and practical all over again..(this cost a fortune for me) I wonder if I can conver my driving license to International driving license and use it in Holland. Thank youv very much hope to hear from you soon. Your Malaysian license which you’ve held for 22 years can be converted into IDL. It can then be used in Holland. I have a malaysian driving license. I’ll be going to germany by next year and will be staying there up to 5 years. Can i use the international license up to 5 years in germany? Or does it valid for a year? If i have to sit the driving class there, it will cost me lots. Is there any good solution for me? Since you’ll be staying 5 years in Germany, you’re advised to take out an International Driving License. The above license has to be renewed yearly back in Malaysia. so im just an international student here in malaysia…so im not malaysia resident or anything of a sort.i have had some driving lessons but never really finished because then i had to come here and study.so im asking where can i go for driving lessons? and will i be given an international driving license,?..and what are usually the range of costs so as to tale the lessons,tests everything included…because im just here for 3yrs.Thankin u in advance. Yes, you can get a driving license in Malaysia. You will be given a Malaysian license. You can later change it into your country driving license. The range of costs differ from place to place. I am Malaysian Resident working in Canada. I wish to take Canadian’s driving license but I have to show my Malaysian driving license. However, they do not understand Malay. Where do you think I can get the translation? Does JPJ provide this service? Your Malaysian Driving license should be acceptable for use in Canada, which is a Commonwealth country. As such, I see no necessity for you to get a Canadian license at all. As a Malaysian, you can translate your license yourself. Why not try the Malaysian Consulate at Ottawa of Toronto? What do you mean by saying we can translate the license ourselves? Wouldn’t the commonwealth country require a legal document with an official stamp as such to verify that the license have been officially translated? I’m asking because I want to get my license translated to be used in New Zealand. Thank you in advance, Cikgu Yap. If you wish legal document with regards to your translation, you can affix a RM10 stamp and have it stamped at any stamp office. Hi. I am Malaysian citizen but went to New Zealand when I was young. Now I have a full New Zealand driver licence and plan to convert that licence to Malaysia full driver licence. Is that possible? New Zealand license can be converted to Malaysian license. First, get the New Zealand license certified by the issuing authorities. Next, go to J.P.J. office preferable in Putrajaya for conversion. Do bring all documents such as MyKad, 1 piece colour photograph, your New Zealand licence etc. I foresee you” not entail any problems. Do I need to go to the JPJ office personally or can I apply from New Zealand via mail? You’ve got to personally go to J.P.J. You can’t apply from N.Z. Once the foreign driver licence being converted to Malaysia driver licence, how long the Malaysia driver licence valid for? Malaysia license is renewable for 1 year to 5 years. How long it normally take for this kind of conversion? Conversion to Malaysian licence can be proceed the very day itself. I will be in Germany Berlin for 3 weeks, can i just drive with my malaysian driving license? or do need to apply international license at least? You can use your Malaysian driving license in Germany. Ensure your license is Valid. Oh I see, good then. Thanks for clarrifying. im just an international student here in malaysia…so im not malaysian resident. im asking where can i go for driving lessons which provide international license instead of just malaysian? and what are usually the range of costs so as to tale the lessons,tests everything included…and how long will it take time to get international license if i apply for it now because i need to get international license asap b4 this summer.Thankin u in advance. You can get Malaysian license. International licenses only for Malaysian. Sorry to disappoint you. I will be flying off to australia as a full time student. I will study there for around 2or 3 year. So i was wondering if it is better for me to apply for international licence before i leave? In case i want to drive over there. I know that our Malaysian licence is not acceptable over there..
You need not get an international license. Just get a Malaysian license. You can use it in Australia. Hi, I am currently studying in Japan. I would like to know if Malaysian Driving License is valid in Japan or do I need to have International Driving License? Malaysian license is acceptable in Japan. Make sure it is valid. Thanks for your reply. It may sounds rude but I would like to have a source that can prove Malaysian Driving License is valid in Japan because I heard from people that Malaysian Driving License cant drive in Japan without having International Driving License. I feel you have not heard of the United Nations or its history. For your information, signatories of the Geneva Conference 1949 and 1968 have agreed that licenses from member countries can be used in each other’s country. Sorry, I never heard before.Could you explain more or is there any website which have the agreement for my reading? If you are still uncertain, make a trip to the Japan Transport Authority for confirmation. Malaysian driving license need to be converted to Japanese driving license. You need to take tests (theory and practical). If you are lucky you will be through after taking once. However according to my experience and other talking to other expatriates here, expect failing the first test. BTW my wife got her Japanese license after 6 times, I got after taking the test twice. If you are on a short stay (less than a year), then you can use an Malaysian international driving license. i would b appreciate if you can clear my doubt . I have a few queries. 1. since Malaysian driving license is valid in Australia, when do we need to apply for international driving license? 2. if it happen that i want to use my domestic license at Australia, do i need any supportive document since it is in BM. 3. any insurance we need to pay?What are the procedure? Malaysian CDL can be used in Australia. It would be best if you could convert your CDL to International Driving License. If you are planning to use your domestic license, best if you can have it translated. In regards to insurance, cars which are rented should have coverage for any driver possessing valid license. “P” license from Malaysia however, may not be allowed to drive in Australia. It all depends whether the Australian authorities accept our “P” license there. I am Malaysian with a valid Malaysian Driving License. I would like to visit New Zealand as a tourist and to rent a car. I read from the New Zealand tourist and car rental website, understand that those foreign driving license in foreign language (BM) should have their driving license to be translated in English by the foreign issuing office (means JPJ). I do not think I need to obtain the International Driving License for tourist purpose, how do I obtain this translation from JPJ? Please advise. J.P.J. should, I presume have a standarised translation of a Malaysian license. Try approaching the above authorities. Yes, you’re correct. You do no need an International Driver’s License. You can also translate your driving license, give all relevant particulars. Affix a RM10 stamp by going to the Stamp Office to have it stamped, making it a legal document. I will be in Greece for tour. Thinking to rent a car there. Is Malaysian Licence acceptable in Greece? Renting a car in Greece is a good idea. Yes, Malaysian license is acceptable in Greece. My aunt is a Malaysian, she has been living in USA for many years. She has an international driver license but not Malaysian driver license. She enters Malaysia with Malaysia passport. So can she drive with the international driver license in Malaysia? Your aunt from America can use her International Driving License in Malaysia. Hey,i’ve afew question . Its Urgent! 1. I’ll be going to fresno california in a month. But i’m holding a malaysian P license. would i be able to drive there? 3. can i convert the malaysian license into a canadian license? In my opinion, you shouldn’t face nay problems using your “P” license in California. No, “P” cannot be converted to International Driving License. I am uncertain, but I think you can’t convert Malaysian license into a Canadian one. So I could drive there, and if a police stops me i’ll be fine? I am going to Korea. Do I need to convert my Malaysian driving licenses to International Driving Licenses? How long is the JPJ will be approved for the conversion? What about if I want to drive scooter / motobike in korea, do I need to do the conversion? Malaysian license can be used in South Korea. Like wise motor license too. Is that mean I do not need to apply international driving license? Yes, unnecessary to get the International Driving License. I am studying in the UK for 3 years now but I have a full Malaysian License. Am I allowed to use my license to rent a car ? The Geneva Conference 1949 & 1968, permits Malaysian license to be used in the U.K. You can certainly rent a car there. Oh Cikgu Yap, Just one more quick question. when you say , i could drive with P in the california are you sure about that? because i know they say we could drive with foreign license., but i also have read that people got finned , when the police stop them. hows that? Because i want to drive there, but i jst don’t want to get into any trouble. And do i need to translate my P license, as they don’t understand malay. If you read my answer carefully, I reiterated “in my opinion”. Malaysian C.D.L. can be used in the US, that is for sure. As to whether “P” is acceptable, is a slightly different question. Anyway, “P” license is also a full passed license. Based on the above premise, a “P” license therefore should be acceptable for use too. Good idea to translate it into English. Hi Cikgu Yap, does a “P” license holder able to apply international license in order to travel in Australia? “P” cannot be converted into International Driving license. I’m currently in australia… if i translated my malaysian driving license into english…. then the license can be use in australia for how long? As long as the license is valid. Can my “P” licence be used in New Zealand, or do I have to convert or do anything? Thanks. “P” is not a full license. It is “probationary”. It’s up to the New Zealand authorities to accept our P or not. I’m a Malaysian and I have a Malaysian Driving License. I’m planning to stay in South Africa for good. Do I need to obtain an International Driving License to drive there? Or can I just use my local driving license? If you plan to stay for long in South Africa, try seeing if your Malaysian license can be converted into South Africa license. Failing which, the International Driving License is your only choice. just wondering if it’s a must to have my malaysian driving license translated in order to rent a car to drive in new zealand? It might be a regulation for renting car in New Zealand. However, since you can speak English, the above might not be a necessity. I plan to visit Medan Indonesia on May just for holiday (4 days) and am plan to drive my own.. By the way my Malaysian Driving License valid till January 2013, do i need an Internationa License in Indonesia? Malaysian license can be used in Indonesia. Unnecessary to get an international driving license. Did you have a list that show those country that accepted with our Malaysian Driving License only ? Countries signatories to Geneva Conference 1949 & 1968 are involved. Sorry, the list is too long to be published. If staying rather permanently in U.K, it would be better to attempt getting British license. If it is not possible, getting international driving license is the next alternative. Elaborating on Eve’s question, my brother’s going over to uk for 2 weeks holiday. does he need an international driving licence if he wants to drive or will he be fine with a malaysian one? and if i wanna drive in the uk for one year plus do i need to get an international licence, get a british one, or just use my malaysian one? can i renew my international licence over there or online cos i wont’ be coming back for one year plus. Your brother can use our Malaysian license when he’s on holiday. As for yourself, the duration of 1 year is rather long. Ideally, get an international driving license. You can try the MyEG web site to renew your license. Have someone send it over to you. I am planning to renew my driving license for 5 years this May and I will be going to UK this September. My question is, if my Malaysian driving license is valid for 5 years. Can i drive in UK for 5 years with just using my Malaysian driving license or do i need to get an international driving license? 5 years in UK in too long a time. You should get an international driving license. Does it mean that no matter whether i have malaysian driving license or international driving license, i can only drive up to 12 months if i do not have a british license? Thanks for the enlightening web site article. Our domestic license is meant for use in foreign countries during social visits only. Those who plan to stay for a longer period are advised to get International Driving License or domestic license i.e U.K. Regarding your question, it looks as it your Malaysian I.D.L. can only be used for 12 months only. After expiring the above period, you have to obtain a provisional British followed by a full British license. Licenses from some countries, like Singapore can apply to convert into British license. Unfortunately, Malaysian license is not one the countries for conversion. Reason being, our license is not of a standard the British the authorities accept. thank you for the reply Cikgu Yap!! On social visits, you can use your Malaysian license. If going to U.K. frequently, ideally apply for an international driving license. Normally, in U.K., you can drive up to 120 days. Same applies to Germany too. However, rules and regulations might differ. i have been in netherlands for almost two months, may i know for how long i can use my Malaysian Driving licence for. And its also valid in Germany? The rules and regulation may be different for every country. Ask around friends, Road Transport Department, the Police etc in Netherlands. You may find your answer there. I’m currently posted out to Middle east to work, n i just retake my driving license, can a P license convert to the driving license in middle east? Remember, “P” is not a full license yet. I don’t think your “P” can be converted. Anyway, ask around. No harm trying. I’m foriegner and currently studying in Cyberjaya, Malaysia. can help me to find one? I am unable currently to assist you. 1) Going to NZ under Holiday Working Visa, for 1 year, do I need to convert to Int’l Driving License if I do drive there? 2) Where can you recommend for translation service for the Driving Licence from Malay to English? It’s the requirement for applying an IRD number in NZ. Of course I can explain to them in English from the few Malay words in Driving License. If unnecessary would be good, as it would be costly for the translation services. As you will be in NZ for nearly a year, the best advice that could be given to you would be to get an IDL. Translation can be done by anyone competent in Bahasa Malaysia. I will be going to America this November for a month and my PDL is expiring in August. After getting my CDL, can i drive in America? Do i need to apply with AA? or get an international licence? or translate the licence? Leave your P behind. Supply your family photostat copies of your MyKad and 1 copy colour photo of yourself. Family members / runners can change your P for you. They can then send it to you in America. Your CDL can be used in America. No need to get IDL. i’m leaving for a short trip to japan and the car rental companies in japan specifically ask for my international driving license in order for them to rent a car to me. i currently have a malaysian driving license but they say they cannot accept it. pls confirm do i need an malaysian international driving license to drive in japan. Japan requires a Malaysian driver to possess an IDL. Yes, the above requirement is absolutely required. HI, My sis is going to US for 3month. Does she need the International Driving Permit? As what I know is short term trip is not required the IDP, but how bout 3months? Best for your sis to get an IDL if possible. Hi there Cikgu Yap. I am a Malaysian but holds an Australian Driving License. I am back in Malaysia for holiday now and I am just wondering if I could use my Australian Driving License. If coming back from Australia for holiday, yes, you can use it. If back permanently, convert to Malaysian license. My wife is a Malaysian and she need to convert her Malaysia Driving Licence to Singapore Driving Licence. She required to proceed to JPJ to obtain her Malaysia Driving record for her conversion. To my understanding once she apply for Malaysia Driving record, her Malaysia Driving licence will be revoke ( am I correct?). Hence our main concern is: Can my wife drive Malaysia Registered Car in Malaysia while possess of S’pore Driving Licence? Yes, your wife can convert her license to Singapore driving license. Correct, her Malaysian driving license will be revoked. Yes, she can still drive a Malaysian registered vehicle. Hi, I currently hold a Malaysian P License and i’m going to Bali on holiday next month. Can I use my license to drive a rented car in Bali? If Indonesia requires a Malaysian to possess on IDL, then you cannot drive with a “P” license there. Do I need to convert to IDL ? or can use my current Malaysia DL? is the fee for IDL RM 150 annually? or it is a one time payment ? Do I need to take any test to convert to IDL? Best if you convert to IDL. RM150 per year. No test required. Hi,I am Malaysian citizen and I have a Malaysian Driving License. I am going to NZ for parent visa. do i need to convert to IDL if i do drive there ? Malaysians going overseas are ideally advised to secure an IDL. Hye, I am currently student at USA. I’m planning to take motorcycle license which is the same as ‘B Full’ license here in Malaysia. So my question is can I change my license to ‘B Full’ when I’m back at Malaysia? And if there is any chance for me to do that, what is the procedure? Regarding charge of foreign licenses into Malaysian driving licenses, the authorities frequently change its rules and regulations. As such, you are advised to personally go to JPJ Putrajaya to get the correct procedures. I’m currently in Melbourne , Australia . May I know whether my CDL listing is valid to drive in Australia ? Do I news to translate to English version or just use the license ? Can you tell me where can I translate my license in Melbourne ? Your Malaysian CDL can be used in Australia. Get an IDL become crossing over there. Preferably, get your license translated in English. Anyone competent in B.M. and English can do the translation. Do you mean that anyone can do the translation as long as he or she is competent in B.M. and English ? That means I can do my own translation since I know B.M and English. Am I right ? There is no law to say that you can’t do your own translation, it there? I am leaving this week-end for Tasmania for a holiday and propose to rent a car to drive around. Can I just use my Malaysian driving licence expiring in 2011? I did that on several occasions when in Perth and Melbourne on holiday but now from the comments above, I am confused. If it needs translation and I can do that myself, where would be the nearest stamp office in PJ and how long would it take. Need help please. In fact, you should have no problem using Malaysian license in Tasmania. Do you own translation. If you want to make it legal, stamp it. The fee is RM10. As your yourself said, you have done it many times renting a car there. Continue doing it. Enjoy yourself. I will be in US Texas for 2 weeks, can i just drive with my malaysian driving license? or do need to apply international license at least? Although Malaysian license can be used in USA, but it’s always better to get IDL before going there. I will be in NZ for a year and i have a valid Malaysian license throughout the period, do you think i should apply an international driving license before going? Always better to get IDL. Am I able to convert my license with a tourist visa? If not, am I allowed to drive with my current Iranian DL (which I have a translated official copy of) for a few months? Student visa cannot be used to convert your license. Iranian driving license can be used here for a reasonable period of time. Hello Cikgu Yap, regarding Rach’s question, I’m a little confused as to why she is recommended to change her license to an international one if she’s going to drive there for 1 year. Is there a downside to not converting her Malaysian license? Also, could you clear the air as to why some people convert their license even though it is accepted in another country? Last but not least, can a ‘P’ license be used in South Korea and Spain? Thank you very much. If driving temporarily in UK, you can by all means use Malaysian driving license. To have an IDL would certainly be better. “P” are passed licenses. It should therefore be acceptable in S. Korea and Spain. Dear Cikgu Yap, my daughter has been in the Uk for 5 years, studying and is currently working there. she wants to drive and purchase a car now. As she has a valid malaysian driving license can she apply for an international license and is it valid and for what duration in the uk?will it be better for her to take another driving test in uk or opt for the international license application in malaysia?Please advise as we are quite confused over the requirements.She is currently taking driving lessons again in uk. IDL valid for 1 year normally. It has to be renewed annually in Malaysia. Getting a British license is always difficult. But eventually, it would be better for her. As such, I would recommend that she attempts to get a British license. I think you’re doing a great job. Scrollng down your page I got to read a lotta Q’s and A’s. Most of what i needed to know I found here. Keep going!!!! Thanks for this page. I’m sure many of us “idiots” appreciate your “wisdom” on this subject. I am only a humble driving instructor with lots of experience. That this blog has been able to help you and all other readers begets great joy. Hopefully this blog will continue to interest you. 1) can I still buy a car in Malaysia with a Singapore driving licence? 2) if I decide to move back to Malaysia, say 10-15 years later, would it be easy for me to get back my Malaysian driving licence? It’s best you convert your license into Singapore driving license. Your Malaysian license will be invalidated. Yes, you can buy a Malaysian registered vehicle for use in Singapore. When moving back to Malaysia later on, certainly you can convert your Singapore license into Malaysian license again. Singapore citizens, permanent residents (regardless of their place of residence), student pass holders, long term social visit pass holder and residents of Singapore are NOT allowed to use or keep any foreign-registered vehicles in Singapore. Therefore, you can’t drive a Malaysia registered vehicle within Singapore. My question to Cikgu Yap is whether i still can bought a Malaysia registered car with Singapore driving license (I’m a Malaysian working in Singapore) as i only drive the car within Malaysia. Since i can’t afford to buy a Singapore registered car. Q: I’m a Malaysian with Singapore driving license (after conversion of Malaysia driving license to Singapore driving license) as currently i’m working in Singapore. After the license conversion, i’m only have Singapore driving license as i have to surrender my Malaysia driving license. Is that possible for me to purchase a Malaysia registered vehicle using Singapore driving license and drive it within Malaysia? Thanks for the prompt reply. A: Tuan boleh membeli dan memandu kenderaan Malaysia di Malaysia. If you in Korea for a short while, you can use your Malaysian driving license. I have a concern here regarding of my Malaysian driving licence. I am about to get married to a Belgian and i will move and reside there. Should i apply for International Licence from JPJ? Is it valid overthere? Am really in a need of help here. Thanks in advance! Always better to get IDL. Malaysian license should be usable in Belgian too. While over there, attempt getting a Belgian driving license eventually. My sister made a few phone calls to JPJ and they have no clue what we need. Is there any more specific term than ‘driver’s record’ or ‘driver’s history’? Need your help urgently! To my knowledge, JPJ has no such record. The only thing you can do is to get JPJ to certify when you first did your test. I’m going to obtain a valid Australian licence. However, I need a proof letter from the JPJ to show that I had been holding my Malaysia Licence for more than 4 years to get a full Australia licence. My question is how can I get this letter from JPJ? Is there any email I can sent direct to the authority to ask since I’m in Australia and won’t be going back so soon. I doubt if JPJ can supply you the letter you need. I’ve just obtained an Austrian driving license whereby I had to surrender by Malaysian license. I’m yet to know if they will give me back my Malaysian license. But if couldn’t, can I get a new Malaysian license issued in JPJ? And if I were to drive in Malaysia now, do I need an IDL since I’m now holding an Austrian driver’s license? When you no longer need to use your Austrian license, convert it back for your Malaysian driving license in Malaysia. Austrian license can be used in Malaysia for a reasonable length of time. No IDL needed actually. Justin Lee………I believe what you need is a letter from your insurance company(ies) stating your “track” record with them. When I came to Malaysia I was required to carry letters from my insurance company which will have the info of the tenure of licence and your accidents (if any). Cikgu Yap……….I noted several comments on this page concerning the requirement to relinquish your home licence when issued with an International Driving License. I recently applied for and received an IDL and at the same time they reissued and gave to me a new Malaysian DL as my passport number had changed. I have both in my possession.Since the IDL is not valid in the country of your home license, there is no need to relinquish your home license. Please check this out. Cheers. According to my reference, a person who works in Singapore can apply for a Singapore driving license. A person who possess the above license will automatically his / her domestic license cancelled. This is according to Section 29 (b) Akta Pengangkutan Jalan 1987. As I reiterated in my article, no person is allowed to hold 2 driving licenses, ie IDL and Malaysian domestic license. This applies to Malaysians only. An IDL can still be used in Malaysia before his / her departure overseas. I have quite a confusing situation on met at the moment. I am a Pakistani citizen and had been studying in Malaysia for 2 and a half years and I sat for the tests and all to obtain a Malaysian ‘P’ Driver’s licence. Recently I have moved to Adelaide, South Australia to continue my studies. Now my question is whether I can renew my Malaysian P licence to full licence at its renewal date in August even though I no longer reside in Malaysia. And whether I can drive in Australia with my “P” Malaysian Licence or get it converted into Australian licence. “P” yes, you can renew your license to fill license in August. A friend can do it for you. You should have no problem using your “P” license in Australia. I am a Singapore Work Permit holder. I just went to check with Singapore Traffic and I will not be able to convert my license unless I stay in Malaysia for at least half a year. What is the best option now if my Singapore friend is going to work overseas and is leaving the car for me to use? 1) How can I convert my license so that I can drive a Singapore registered car? 2) Am I allowed to drive the Singapore registered car? 3) If I cannot drive the Singapore registered car, when can I convert my Malaysian driving license into an international license? As you said yourself, Singapore requires you should have lived in Malaysia for at least 6 months for conversion purposes. For the time being, you have to be patient. When you qualify later, you can then apply for Singapore driving license. You can drive Singapore registered vehicle. IDL can only be applied for when your P days are over. hi, i am going to travel to switzerland for a short trip, would like to know whether a International Driving License(IDP) is needed to drive in Switzerland as i notice we do not to posses IDP in some countries. thank you. Always best to get IDL. I am Malaysian and i wish that you could clear my doubt. i am going to have my internship in Taiwan for one and half years soon, Should i get a international driving licence? How much it will be cost? Should i take another driving test? It’s always best to get an IDL. Hi there, im Singaporean staying in malaysia with my malaysia wife. can i use my Singapore license to purchase a malaysia car & drive in malaysia. My friend and I will need to stay in USA for about 2 months and we have to drive in order to go to work. We have our valid Malaysian License. Do we have to apply for International Driving License? I heard some said that the stay above 6 months only will require this. Please confirm. Malaysian license can be used for a reasonable time in the US. Ideally, best to get IDL before going over. My family and I will be going for a holiday in New Zealand for 2 weeks on the 21st May. We were going to rent a caravan there. From the comments from other people, I know you have replied that Malaysian Driving license can be used in New Zealand. So to confirm before I go abroad, do I still need to do any translation to English? If yes, is there any format for this translation? Or just simple English written translation of the Driving license in terms of expiry date and etc? Then get it stamped? Hope that you can clear my doubts. Malaysian license can be used in NZ. It’s always best to translate one’s driving license into English. I was just wondering if I am able to use my license here. I have a Malaysian P license and I am asking if there is a way for me to use this license here or get an international permit for it, or any way I can acquire an Australian license easier by using this? Your Malaysian driving license can be used there. IDL is only meant for Malaysians. My boss is going to Czech republic (prague for almost 2 weeks ) and then to chicago. Does he need to apply for IDL? or just can use his malaysian driving licence. Pls advice. Thank you. Malaysian driving license is usable IN Czech Republic and the US. It is always best to get an IDL. I am Malaysian and I also holding Singapore PR, my husband planing to get a singapore Car, but i dont have any license, if I get a Msia License after that convert to international license, can I drive singapore car in malaysia use international license ?? Even with a Malaysian license, you’re allowed to drive a Malaysian registered vehicle. You do not have to secure an IDL. I will be travelling to Canada for a month long holiday. During the period, I will be renting a car to drive from Vancouver to Calgary via the Rockies for a period of 6 days. That will be all the driving I’m doing during that 1 month period. I’m trying to determine if I need a IDL to drive the rental car. I checked with AAM and they mentioned I need a IDL. I also visited other websites to confirm if the IDL is necessary, including yours and most indicated IDL is NOT necessary, although a couple indicated IDL is needed. I’m quite confused on this IDL requirement, so I hope you can clarify this for me once and for all. Appreciate your help. If you have the time, it would be best for you to get an IDL. Nonetheless, Malaysian license can still be used in Canada. and one more thing. you are doing great job by answer the questions of those people who want to know what they need. i am sure that many of them have to check the above only and then will feel satisfied and no need to ask you as they got what they want to get…. As rules and regulations change from time to time, you are advice to contact JPJ in Putrajaya. Good day. I am so glad to come across your website. I will be heading to Netherlands- Amsterdam next week for a week on business. During the period, i would like to drive in rented cars. I was wondering whether my Malaysian Driver’s Licence will be valid and recognised there? I currently resides in Shanghai and do not possess a IDP. If unable to get an IDL, use your Malaysian license there. I will be travelling to New Zealand south island for a week. I’m having Malaysia Driving Licence class D, can I drive over there? My car rental co. asked me to get translation for my licence? how should i do it? Because I tried to use Malaysia driving licence in South Korea, but they didn’t allow and said need an international licence and i end up couldn’t drive in korea. Therefore, this time i need to make sure before i head to NZ. You can use your Malaysian driving license there for a reasonable time period. Translation of the license can be done yourself if you are proficient in BM. Through your website it solved my doubts! I am going to France and NZ soon. I would like to ask if Malaysian license could be used in these 2 countries. My current Malaysia Driving License is valid until 2013. If let say I apply for IDL now, will my domestic license still valid? Or it will be substituted by IDL and only last for 1 year? No reason why Malaysian driving license can’t be used in NZ and France. Hi! I’m Malaysian citizen but currently hold a California driver’s license. Is it possible to convert my California driver’s license to Malaysian full driver’s license permanently (not International driver’s license)? If yes, what’s the procedure? P.S. I have never had Malaysian driver’s license since I left to U.S.A. when I was little. I see no reason why your Californian license cannot be converted into Malaysian driving license. Was just wondering is it possible to convert Australia P license to Msia P license? Or do I have to startover with the K.P.P. courses, undang test to get L then pass the practical test to get P license? You should have no problem converting your Australian license into Malaysian one. I will be in Malaysia for only half a year, do you recommend me to convert it to Malaysia license or can I use my Australia P license to drive in Malaysia? Use your Australian license as you’ll only be here a short while. I just read your other reply to Vivian that Malaysian Driving Licence is allow to be used in France, but for how long, 1 or 2 months? A reasonable short period can roughly be 5 – 6 months. After reading most of your reply, you must be able to provide me answer for my doubts.I’m very confused over the years..I’m Malaysian and SPR, had converted my msia driving license to Sg driving license for years (Since 2000, my msia license had been terminated due to conversion of my sg license) Currently, i’m planning to go back msia and work. Do I need to apply any license to allow me drive legally in Msia? Can I drive msia registered car (my family car) into Singapore (As i’m still holding PR status)? If coming back permanently to Malaysia, you are advised to give up your Singapore license and get your Malaysian license. Yes, you can drive a Malaysian registered into Singapore. 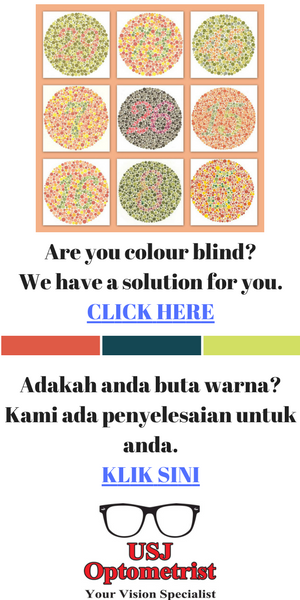 Nice website Cikgu Yap! I had learnt many things about rules , tips and such from you. I just have a doubt about this “international license”. I am currently studying in Japan, and in my last summer holiday, I finally managed to got my P license. For applying International License, is it sufficient enough using P or do I need to wait until it ihad became a competent one? My experience tells me you can’t apply for IDL if you’re holding a P.
Your Malaysian license can be used in Singapore. Unnecessary to get Malaysian IDL. I am going to pay Thailand a visit soon from now. I want to ask about car rental over thailand. Am I possible to drive over there with a rented car without the international driving license? Means I will drive with my current CDL license. Is it possible to do that over Thailand? Thanks. As per my knowledge, you can use your Malaysian CDL in Thailand. As you will be in Taiwan for only a few days, you can use your Malaysian license. I am a Malaysian residing in Malaysia and currently working in Singapore holding a work pass. I would like to be able to drive in and out of Singapore using a Singapore licence car. I do not wish to give up my Malaysian International driving licence. What am I required to do? As per my knowledge, Malaysians working in Singapore can drive a Singapore registered car using a Malaysian driving license. How about driving Singapore resgistered car to Malaysia? While holding Malaysian DL? Was it able? Is there any authority that I can confirm? I’m sorry for asking this, it may have been repeated already. i did browse lightly the whole site before asking though,but i may missed. the country i’ll be going to is US. Convert to US driving license when i reach there. Ideally get IDL in Malaysia before going over to US. It shouldn’t take more than 1 hour if you go personally. I am uncertain if Malaysian license can be converted to US license. Dear sir, first and foremost would like to express my gratitude for running this site. I am living in Australia now and I am under student visa. I having my malaysian driving license here too. Can I use the license to drive here. Isn’t the driving license valid as long as the visa valid? Please explain and advise me regarding this. You should have no problem using your Malaysian driving license there. Make sure license is valid. Think your blog is great and thank you, but seems can’t find an answer to my question so need to trouble you real quick. I’m an US citizen with a valid CDL but expired USA DL and no IDL, Can i rent a car or even able to drive while there for my short return trip back? If USA driving license valid, you can use it here. The CDL you mentioned, if it’s a Malaysian one, yes, you can certainly use it here. Your blog had been a great help for me. However, thr’s still a question bothering me. Let’s say my Domestic Malaysian License will be expired only on July of 2016, as I surrender up my domestic license in exchange of the international license, once I surrender it back for my CDL, let’s say in 2013, the expiry date of my CDL will be remain on July of 2016 or it’ll be recalculate? This question had doubted my for sometime. And, great thx for your help. When you surrender your IDL in 2013, your expiry date of your Malaysian license should ideally terminate only on July 2016. Thanks for setting up this site for people to get up-to-date information regarding international driving license issue. I’m currently employ in Singapore and my hometown is in Johor Bahru (Malaysia), closest city to Singapore. I’m having a valid Domestic Malaysia Driving License. My new job in Singapore do require me to drive a Singapore registed car. But was told to get an International License if I need to drive in Singapore. And sometimes I do have short oversea assignment in other Asian countries which require driving too. Occasionally I will return back to Malaysia like once a week to visit family. So I do need to drive in Johor Bahru with my Malaysia registered family car at my parent’s place. In one of the latest comment, it seemed that if I am to apply for a International Driving License, I have to surrender my Domestic Malaysia Driving License. Is it possible not to surrender my Domestic Malaysia Driving License while I’m able to drive in oversea assignments? Becasue I do need to return to Malaysia occationally. As you are working in Singapore often, get an IDL. According to the rules, you have to give up your domestic license. However, IDL can be used in Malaysia when you’re back home. Hi, I’m an Australian student however as my family resides in Malaysia, I’d be back in KL for 4 months this summer. I want to get a Malaysian license as due to financial/other complications I’m unable to obtain my license in Australia which requires driving at least 120 hours to qualify for a P1 license. I was wondering, if I were to obtain a student visa or work permit for about 3 months would I be eligible for a Malaysian license? With student visa or work permit, you might be eligible to apply for a Malaysian license. I am currently studying in the United States and already here for about 14 months. I have my Malaysia driving license valid until 2015 and I use this license to drive previously in the United States (foreign driving license is valid to drive within 12 months). Recently, I just found my internship and I need to drive to my internship site starts from next week. Now I am worrying about legally driving here in the United States. Is it possible that I can apply an International Driving License soon so that I can drive here at least from a month or two before I have time to take the driving test here at US?? As you said, Malaysian licenses can be used in US for about 12 months. If you want to drive longer than that, ideally get an IDL from Malaysia. I an uncertain if IDL has a time frame. Beyond that, a person has to take steps to procure a US license. I would have a question regarding the conversion of the driving license btw singapore and malaysia, actually I am a malaysian who works in singapore and will be back malaysia during every weekend. if I had already converted to singapore driving licensed from malaysia, is there any best ways for me be able to drive malaysia vehicles and also while driving singapore cars in sg? 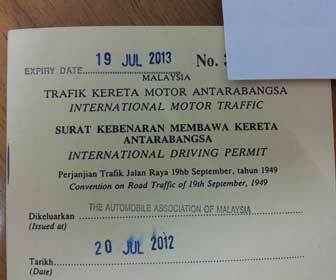 Should I convert to international driving licensed as I was able to renew my msia driving licensed. Please advise. Thanks . Malaysian license , though converted into Singapore license, can be used to drive Malaysian cars here in Malaysia. Sorry I was wrong message to you, it should be my malaysia license could not be able to renew. Therefore are you meaning that I needn’t to do any further procedures if I am still holding singapore license? Your earlier reply is my greatly appreciation. If your Malaysian license has already been converted into Singapore license, your Malaysian license should become null and void. Unnecessary therefore to renew it any further. I am now studying in Sydney with Malaysia “P” license. I am just wondering whether I can drive there by using my “P” license. Thank you so much, hope to hear from you soon ! As a full license, you should face no problem driving with a P in Australia. Dear cikgu Yap, I have some confusion on my mind. Firstly, is it true to purchase a car in UK we need to have UK license as international license only permit us to drive in UK, not to own a car? Secondly, I just arrived in UK back in September. Is it possible for me and my friends to go to Spain, and renting and driving a car over there? would our license be valid for it? For your info, my license is competent, expiring in 2 years time and I don’t have international driving license. Sorry, I am uncertain if you need a UK license to own a car there. With regards to your 2nd question, Malaysian license most probably can be used to rent a vehicle in Spain. IDL is unnecessary in my opinion. I am a US citizen and have moved to Malaysia I hold a California Drivers License which is due to be renewed may I be able to convert it to an International Driver’s License to drive here in Malaysia? Attempt to convert your Californian driving license into Malaysian license at any state Road Transport office. Converting to IDL should be done by your American authorities, not by Malaysian authorities here. Hi Cikgu Yap, just to clarify again, cos there are contradictory answers by your goodself previously regarding Malaysian driving license holder wanting to drive in Indonesia. Which is it? Do we need IDP in Indo or our DL is valid in Indo. Thanks Cikgu. A Malaysian license can be used in Indonesia. However, if time permits, ideally it is better to secure an IDL. Hope this clarifies the previous misunderstanding. Thank you for your very informative explanation on the above subject. 2. I have a question: I have just obtained a PDL a day ago, and wanted to change my PDL to an IDL, as I would be leaving for Geneva next week for a 3 year assignment. As I understand it, a PDL is not entitled for an IDL unless one has obtained a CDL. However, if I am a holder of a diplomatic passport, would it be possible for me to change my PDL to IDL? Or would it be okay if I only use my just-obtained PDL in Geneva, as stipulated in Geneva Declaration, without having to apply for an IDL from JPJ? In my opinion, PDL should be usable in Switzerland for a reasonable length of time. PDL cannot be changed to IDL. I am currently in Australia. Does anyone know to get the international driving permit from JPJ on my behalf or not? Malaysian IDLs are normally for Malaysians only. If you are a foreigner, I believe you are not entitled to apply for it. Nevertheless, an IDL must be applied for in person. I’m going to South Korea in 2 weeks’ time, is there a need for me to get an international driving license in order to drive a car there? Always best to get an IDL. But Malaysian license can very well be used there. I will visit South Korea during end of September. I’m a Malaysian citizen who is working in Beijing right now. Is there any way to apply an IDL in Beijing without back Malaysia? Then regarding the previous comment, u said that “Malaysian license can very well be used there”, what do u mean by that? means no need get an IDL and straight away use our Malaysian Driving license at South Korea? Though Malaysian license can be used in South Korea, it’s always best to get IDL to be on the safe side. Most countries accept our license. But some countries, like Japan, insists on an IDL. Therefore always better to have IDL. Through Malaysian driving license can be used, but it’s better to get IDL. Hi, this is really useful information you have here. :) I would like to know that how long does it take for them to process IDL? Getting IDL should take no more than an hour. hi, I’m a Malaysian who’s constantly going back Brunei for holiday. I just got my PDL last few weeks. Is it okay for me to drive a Brunei car in Brunei with my pdl?or I need to wait for 2 years after I got my cdl? PDL only for learning purposes. After getting CDL, you can drive immediately with it. Hi there, thanks for your previous info..it did help out a lot on my process of converting my license..
Hi, I have got the IDL, do i need to bring the Malaysia driving license along where ever i travel? Is the IDL sufficient? Thanks for your advice. Your IDL can be used overseas. Domestic license not necessary. Do car rental companies in Australia accept Malaysian driving license (not the IDL)? They do. But better to get the IDL before leaving for Australis would be my advice. hi, i’m got the P driving license, can i drive in Australia? if if can, do i need to put P plates because their website did’nt mention it. As Australia also practices P system, no harm of you using it there. I’m a little confused – I thought that the IDP was only valid abroad when accompanied by a valid driver’s licence. But if you have to surrender your domestic driving licence, then what happens? Are you left with only the IDP? Or do you have an international driving licence too? Irregardless whether your domestic license is taken back by the authorities or not, your IDL is valid to be used overseas in most countries. You should have no problem driving in Italy. Bring along English translation of your driving license. I think this is very informative and pretty much clarifies things up for us Malaysians. I thought it was complicated before, but after reading this post of yours, I’m glad it’s actually that easy, thank you sir. By the way I was just wondering though, in our license there are these classes/types/catagories that enable us to handle particular vehicles/machines right? Lets say in my domestic driving license I had class E full and H, would I be permited internationaly to drive/handle those vehicles/machines as stated in my domestic driving license after I’ve surrender and convert it to IDL? Also how about those GDL and PSV licenses? Would it all be compile in the IDL? Thanks in advance for your respon sir. Usually, IDL will indicate driving and riding licences which you possess. FOr GDL and PSV license, bring along your domestic licenses. For all you know, the overseas authorities may permit you to handle tractors and lorries there. In Malaysia for instance, goods ferrying and transport vehicles can only be permitted for the local people only. Foreigners are disallowed. If we surrender our domestic license in order to convert to IDP, could we still use the IDP in Malaysia? Your IDL can be used locally. I am a Malaysian currently working in Australia and will be there for at least another 2 years. Do i need to apply for IDL for 2 years and this will allow me to drive in Australia? Also, do i still need or dont need to sit for Australia road regulation test before i could drive using the IDL that i obtained? As you’ll be quite a while there, ideally get an IDL. If unable to get IDL, your Malaysian driver’s license should be usable in Canada. I am a Vietnamese on an assignment in Malaysia. I am going back for good to Vietnam in August and my Malaysian P license will expire next year January. Can I exchange it to international license now as i want to drive in Vietnam later? Thank you. You intention is not viable. I will be travelling to UK for 2 weeks and intend to rent a car around UK. Can my Malaysia driving license able to use there? I heard that from your blog we can translate our driving license from Malay to English? How to go about that? Malaysian license usable in UK. Do not be unduly regarding translation. It’s only a minor problem. I’m a Malaysian working in Singapore going for a trip to South Korea in 3 weeks time. i heard some saying that we have to get an international license by paying RM150 valid for 1 year. must i have IDL to be able to drive in Jeju Island, South Korea? as my friend told me they cant rent a car to drive without IDL there? how can i check that please? If unable to get IDL, use your Malaysian driving license in South Korea. Due to economic factors, most countries accept each other’s license nowadays. Can my husband, a British with a British driving licence with long stay visa drive in Malaysia. Yes your hubby should have no problem driving here. Like other countries, foreign licenses can be used here for a reasonable period of time. I will be travel to Taiwan for 2 weeks and intend to rent a car there. Can my Malaysia driving license able to use there? Yes, your driving license can be used there. 1) Other than JPJ and AAM, can I get my IDP through Driving School? 2) My driving license is renewed at the post office (no picture). Do I have to renew my license with picture before applying for IDP? 3) Can I apply on behalf of my husband since he’s away on business; so, I hope I can help him apply. Normally, IDL must be applied for personally at JPJ. Some runners and driving schools do have ways to process the above license on behalf of other people. Mu husband is a british. HIs british driving license is already expired and using a malaysia driving license. Can he use it in new zealand? Yes, your husband can use his Malaysian license in NZ. I will be traveling to US and Canada for 3 weeks holiday and intend to rent a car there. Can I use my Malaysian driving licence to drive in US and Canada? Yes, you can use your Malaysian license in US and Canada. This is the first time I came to Malaysia and I am from India. May I no the procedure to get the international driving licence for four wheelers and should be valid for 5 years. Also I want to take the driving classes ,and I stay at chemor are there any institutes to give such training on driving. I want to rent a car to tour in China, can I use Malaysia driving license ? Be prepared to face difficulties. Chinese authorities have some restrictions towards Malaysian license. I am a Dutchman holding a Malaysian P License, will I be able to get my IDL/IDP from the JPJ? I will be going to Australia soon and was wondering if I could use it there? Do let me know. Thanks a lot! Dear Nick, With a local driving licence, you should be able to get IDL from the local authorities. The above is usable in Australia. Hi, When submitting my IDP application to JPJ, will my Malaysian driving license get taken away by JPJ? I am travelling to Greece whereby as I understand I need to provide an IDP and national (Malaysian) driving license. Dear Lav, Authorities nowadays probably will not take away your Malaysian licence. I am a Malaysian and just renewed my domestic license(CDL) and it only expire in 2019. I plan to visit and drive in Taiwan for only 3 weeks. If I apply for International Driving License(IDL) now for a year, do I need to surrender my CDL to JPJ? If yes, after one year, I need to go back to that JPJ branch that I surrender my CDL and collect it back? Do I need to pay anything to reclaim back my CDL(which only expire in 2019)? Dear Tina, JPJ nowadays do not take back your domestic licence when you apply to IPL. I am a Malaysian and having the domestic license(CDL). I planned to visit and drive in Thailand for only 1 week. Do i need to apply for International Driving License(IDL) for renting car there? If yes, do I need to surrender current CDL? And how can i convert back to CDL from IDL in JPJ? For short period, use your Malaysian license. I will travel to Saudi Arabia next year. Do you know whether i can used the International License there? Your IDL should be usable there. Last time I am working at Singapore and already convert Malaysia driving license to Singapore driving license. Now I am come back to Malaysia so I still can use Singapore driving license and driving in Malaysia.? If you choose not to convert your licence back into a Malaysian one, you can drive in Malaysia. Convert back to Malaysian licence would be a better suggestion. I plan to rent a car in US for tourism purposes. I’ve read your comments above and I believe Malaysian driving license can be used in US without IDL or any further documents right? My situation is a bit different. I am a handicapped driver. But I am still using my valid earlier Malaysian driving license (laminates series) which I obtained before I became disabled and not an OKU license. Since I became disabled, I continue to renew and use my earlier driving license which is ‘D class’. Do I need to change to a new driving license with the A class? (i probably guess i did)? Can I use this handicapped “A class” license to rent and drive a rental car in California? Studying your circumstances, my opinion is you’re still able to use your original licence for rental purposes. I was wondering whether with a Malaysian PDL license it would possible to rent a vehicle in Australia? In addition I was wondering if I could apply for IDL with my PDL? To be sure, you need to contact the car rental companies in Australia. Applying IDL with your PDL, no, it is not possible. You’ll need a CDL. Is it possible to drive in Australia with a Malaysian PDL? PDL not full license, so NO! I’ll be on a short holiday in europe in sep/oct 2015 and am intending to drive from zurich to amsterdam via the black forest, Germany and Luxembourg and Brussels… All in all, the drive should not take more then 4 days. Do I need to get an international DL or will my Malaysian DL be enough? If time permits, get IDL better. I am a foreign Student from Bangladesh studying in quest international university perak, ipoh.. I have my license of bangladesh. I want to change that into international license. So how can i do that? and how much money is needed? You have to change your license into IDL at your home country. Nonetheless, your Bangladesh license can be used here. I will be renting a van in South Korea which is more than a 8 seater. The rental company says I need an IDL with class D. How do I get that in JPJ. NOrmally, it is class B. Is there a special way to get Class D or do I just ask for it? I am also having the same question in my mind. I also will be renting a van in Japan which is 10seater and they too required IDP class D. Jpj only approved for class B for local license of class D.
Any idea how to get a class D IDP? Apply for IDL from any JPJ office. Test for a driving license for D.
Sorry I have to comment on the IDL term. The IDP which is the International Driving License is a PERMIT and never a license. Calling the IDP a license confuses people. They now think they have 2 licenses and subsequently thought of surrendering one license to JPJ. There’s only one permit I.e the IDP and one driver license for Malaysians. I’ve taken the IDP from JPJ last year and didn’t need to surrender my driver license because IDP is PERMIT, not a license. Is there really an IDL??? If the IDP is a license by itself then there’s no need to bring the other driving license overseas. The fact that one has to bring both together reinforces that the IDP is really a permit. Obviously. Hope you can comment. Thank you. Have a nice day. Either way, you can still be allowed to drive. That’s the important thing! I am from South Africa and hold a valid driver’s licence from my country as well as an expired International Drivers Licence. Is there any way I can renew my expired International Licence here in Malaysia as i have not gone home to renew it. Also I would like to buy a car here in Malaysia. Will you please advise if my foreign licence will be sufficient when applying for Road Tax and Insurance at JPJ. Renew international licence back home. Your domestic licence can be used to buy a car here! I Shirish Shinde was living my dominant in India (Maharashtra) for past 45 years. Now I have moved to Malaysia for my Job premices. I would be thankful to recieve your answer for my my difficult situation. Being living in India I owned my working All India Transport Liscence. But now I am looking forward to get an International Liscence as well as Malaysia Driving liscence . Please help me ! Hi,cikgu Yap.”P” license valid in Korea?Do i need to convert to international as long i get full complete license? You can use your Malaysian license to drive there for a reasonable time. I will travel to Australia next week for holiday, only for a week. I will rent a car. In T&C said if we are renting outside EU, we should have International Driver License. Do I need to apply International Driver License or Malaysia License is just fine? Thank u in advance!! If the T&C stated clearly, it is best to get an international driver license. Hi, Im foriegner in malaysia and working as a expatriate. Im planning to apply for B-Full License . Now the question is whether after getting the license , am i eligible to use this license in any other countries ( such as my home country) ? good day to to you. I would like to know, if if i’m using the IDL just for a short period abroad,then when i comeback to Malaysia i need to use it until it expired before i can get my normal driving licences right? Yes, you can use your international driving permit in Malaysia until it expires. Hello,i would like to check,i am Malaysian,but I plan to convert my licence to Singapore licence.Can drive my parent’s car when I back to Malaysia if I am holding Singapore licence *or only renatal car is allowed? Hi there Cikgu Yap, I will be travelling to Europe for a month, do I really need to get an international driving license since I already have the new translated version? The new Malaysian driving license already has English translation. Dear Cikgu Yap, we are going to the US in Nov – although JPJ lists USA, some of the states apparently also require an International Permit. But all AAM offices seem to have closed down! Are we only supposed to get the IDP from JPJ only – and just before we fly because we can’t drive in Msia on an IDP can we? Always best to have international driving license when driving overseas. No. IDL / IDP only obtainable in Malaysia. I’ll be staying in Netherlands for 3 years and I just got my P license. Can i use my P license there? And also, can P license be converted to Dutch driving license? I will be working in australia. Is Malaysia licence can convert to australia licence over there..
Malaysia license can be used in Australia temporarily. Whether our license can be converted into Australian one, you have to ask the authorities there.